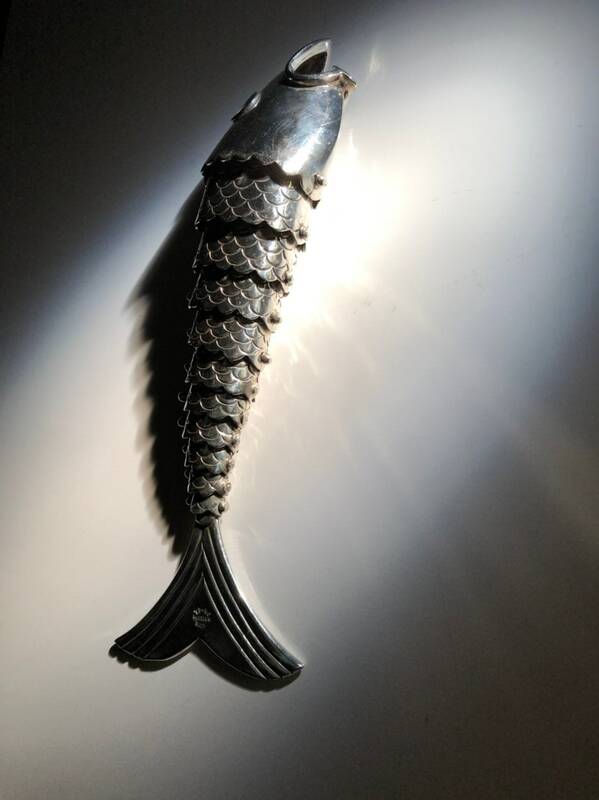 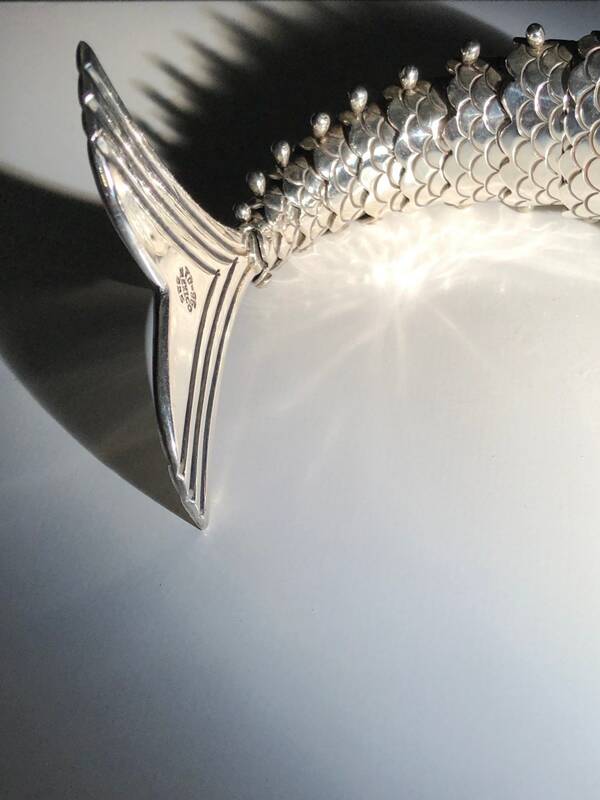 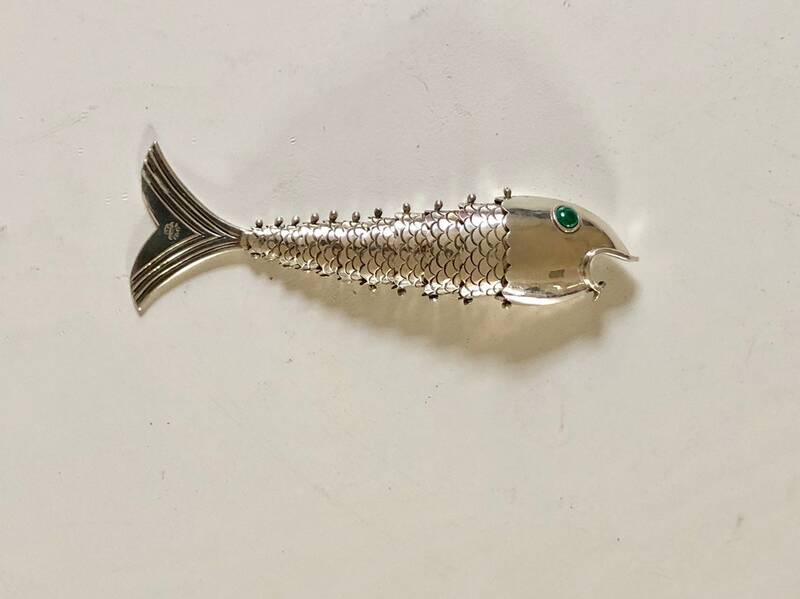 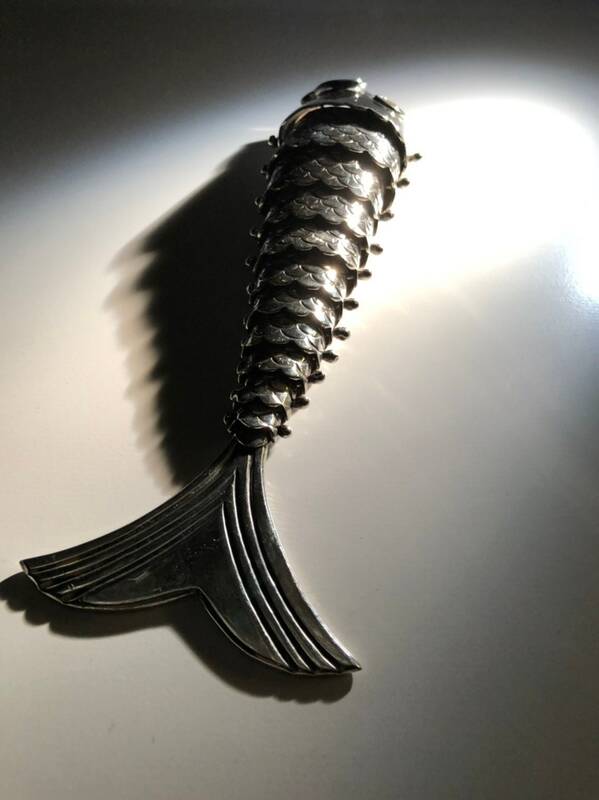 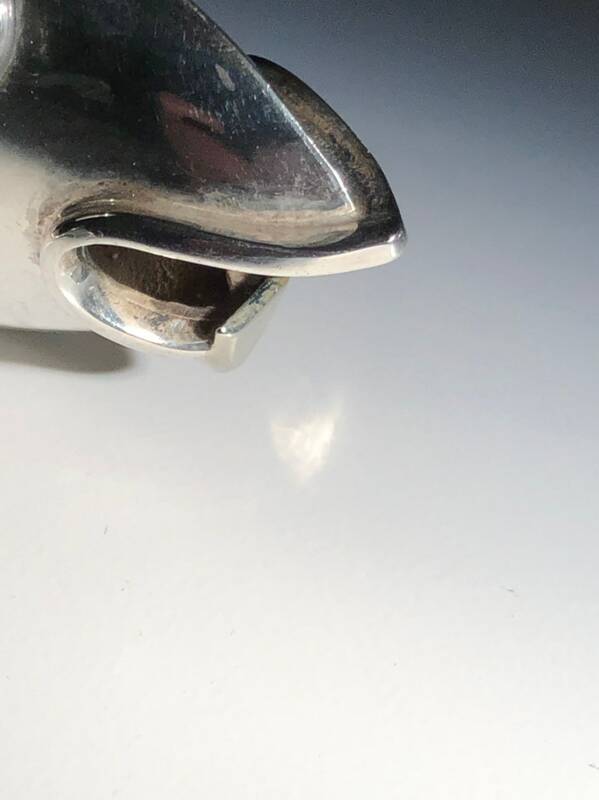 This rare sterling silver (925) articulated fish bottle opener is made in the classic midcentury Taxco style and though it is merely vintage harkens back to pieces by the early masters (reference Los Castillo articulated fish). 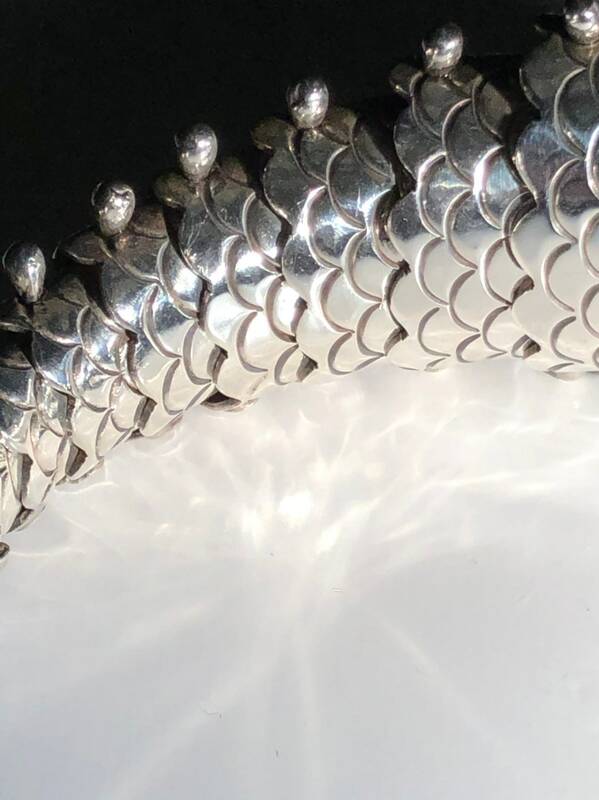 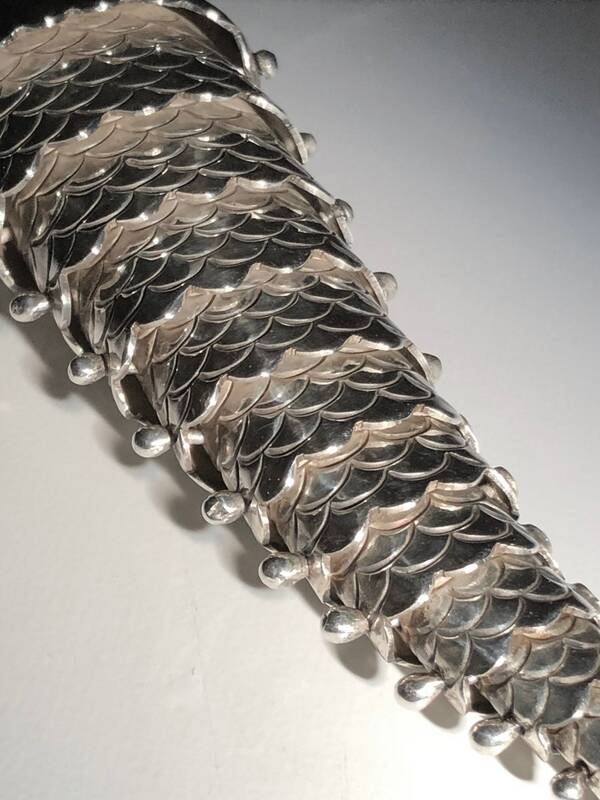 Each link is solid and was hand cast and wrought by the maker. 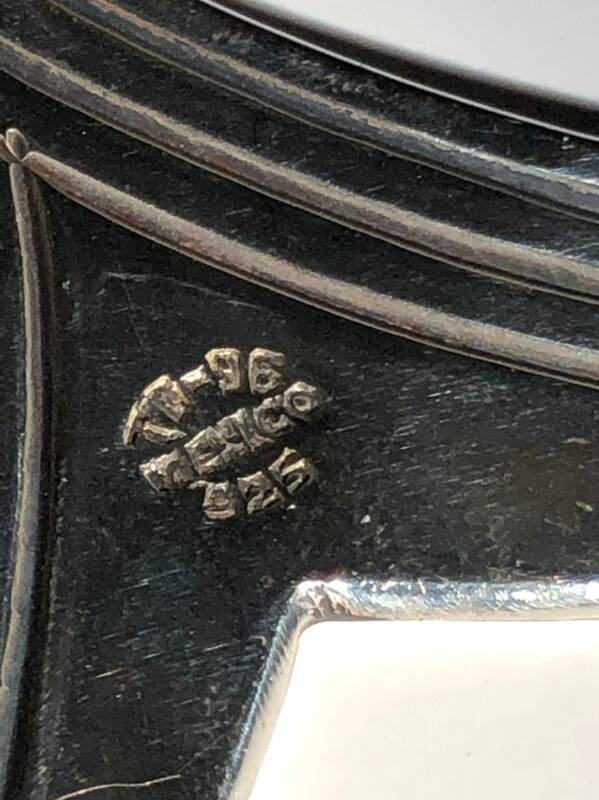 Stamped 925 and TA-96 925 Mexico (unidentified mark). 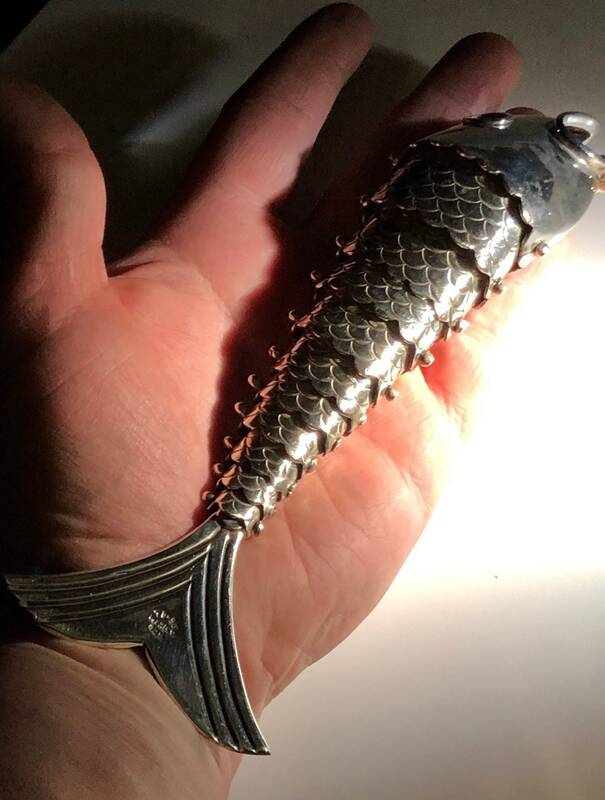 Weight is 186 grams and dimensions are about 8" in length. 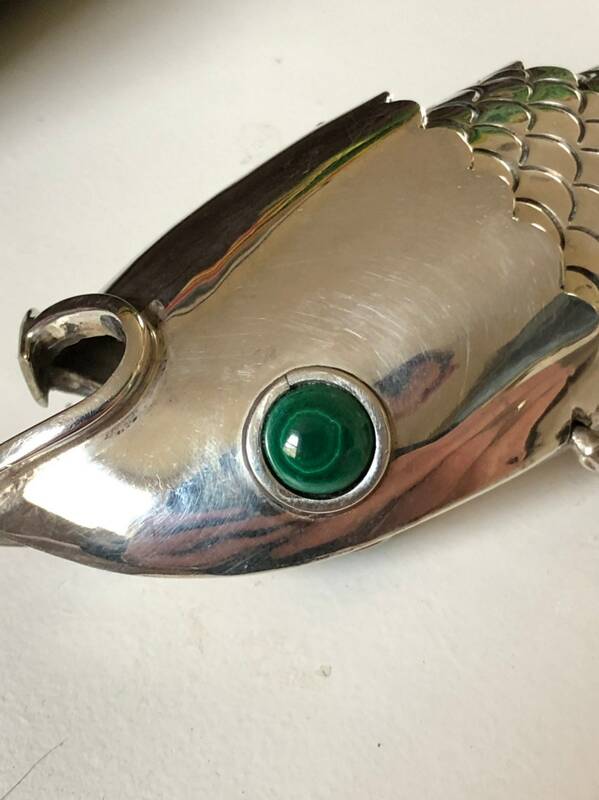 Eyes are hand cut malachite (stone) cabochons.